Do you still want more in this series? 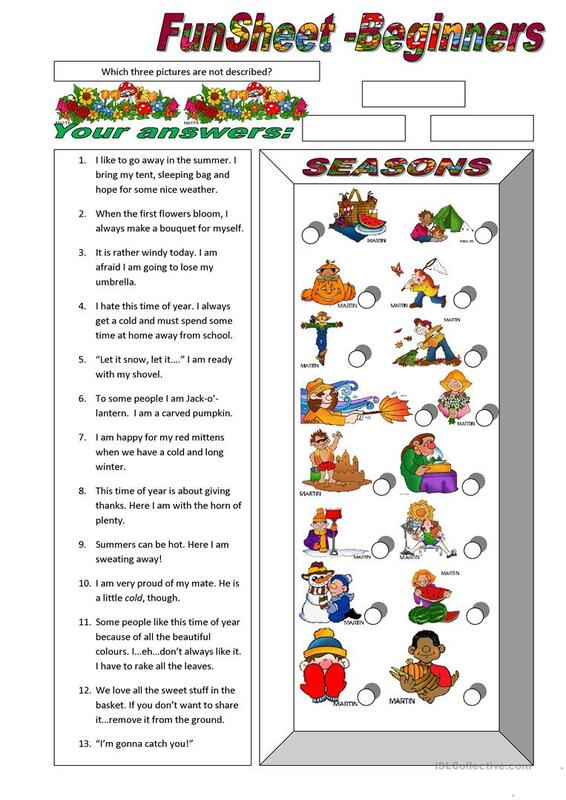 This time students can read about seasons and match the text peices with the right picture. As always, which three pictures didn't have a macth? The above downloadable teaching material is a great resource for high school students, elementary school students and kindergartners and nursery school students at Beginner (pre-A1), Elementary (A1) and Pre-intermediate (A2) level. It is a valuable material for improving your students' Reading skills. It is about the theme of Seasons.